It’s Thursday! By now I’m sure you know what that means – it’s Target Thursday! I was online at Target.com browsing some lighting for an e-design and started noticing a lot of new lamps I hadn’t seen before. I love them all. If there is anything I’m obsessed with more than chairs – it’s lamps. A great lamp can make or break a room. I like to switch up the lighting in our rooms pretty frequently, at least every season. Luckily, Target is always affordable and I usually always catch a great lamp on clearance. 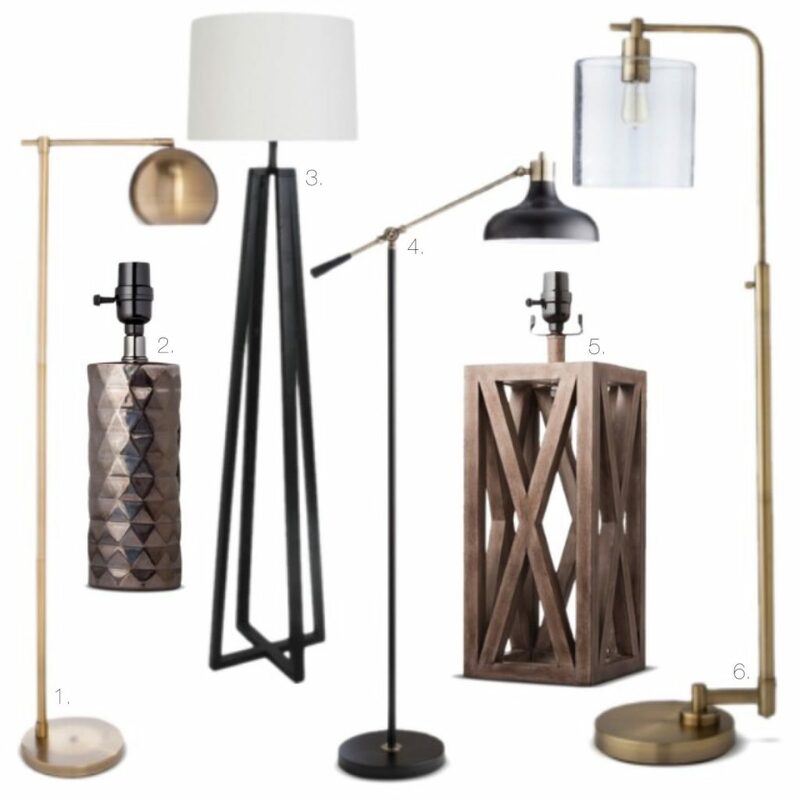 This season, its all about the metals – gold, brass, and oil rubbed bronze. But classic black and wood will always have a place in popular home decor. Most of these lamps are available as floor lamps & table lamps and also available in multiple finishes. If you are in California like me, make sure you get the lamp with CFL bulb otherwise it won’t let you purchase once you enter your address. I’ve learned that the hard way a couple times! What do you think about the new line of lighting? Do you have some of these lamps already? Share with me! I haven't had any trouble! I love their program! I love your Target roundups! I am loving these lamps, especially the globe lamp!